I found this recipe a couple of weeks back on a lovely blog I follow called The Londoner. Ever since I laid eyes her post, I have wanted an excuse to try them out. 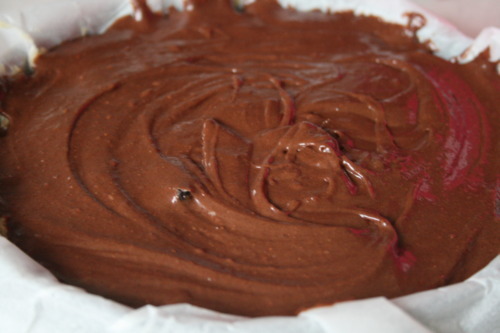 So, yesterday I had plans to meet up with some of my lovely friends for drinks and dinner to 'celebrate' Anti-Valentine’s day and decided that this would be the perfect time to bake some ‘Slutty Brownies’ to show how much I love them! Preheat your oven to 350°F, 180°C, gas mark 4. 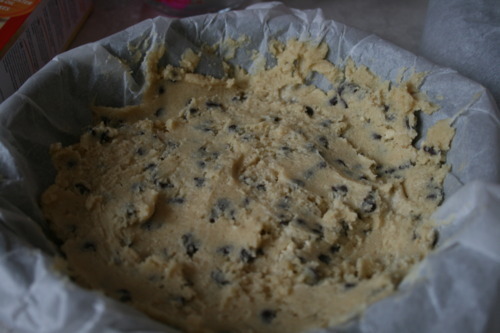 Follow the instructions on the cookie mix box & stir furiously until you have gooey cookie dough, I usually add a little extra water and oil to what they suggest, it just keeps it moist as you'll be baking it for longer than suggested. An extra teaspoon of each is just right. 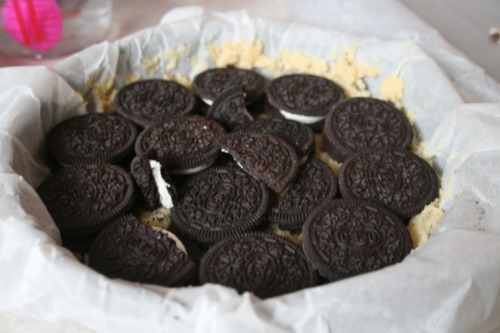 Cover this layer with your Oreos, making sure you have at least a couple left to eat on their own. 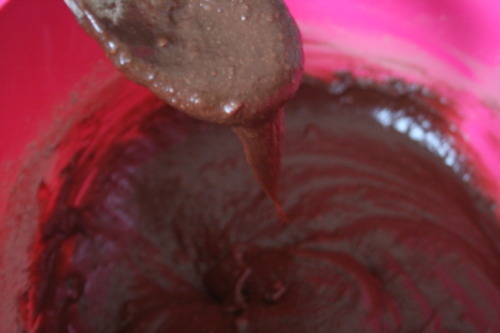 Mix up your brownie batter. Just stick to the recipe on the box for this one. 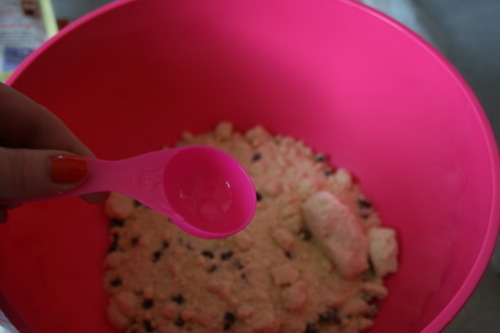 Then pour over your Oreos. When its still a little bit warm, use the paper to lift your creation out of the tray and rest it on a chopping board. After this point, I had to dash to meet my friends, so didn't have time to cut it into managable chunks/sections. Thinking I would do it in the pub we were meeting at, in the end we just borrowed four spoons and set to work eating it like you would a pie. 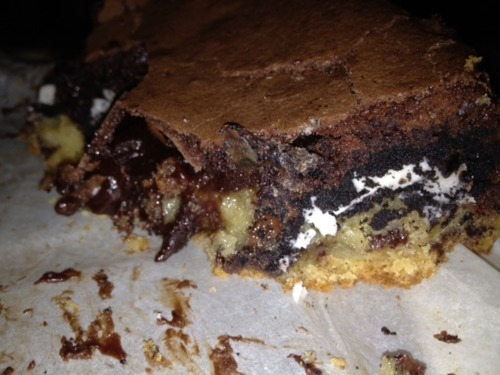 Honestly, these are quite possibly the most ridiculous, over-the-top, indulgent brownies I’ve ever baked. They are also very easy to make (roughly 45 minutes, including baking time) and are so naughty, hence the name, ‘Slutty Brownies’ and judging by the silence between my friends and I whilst eating the brownie, I think these went down a storm. 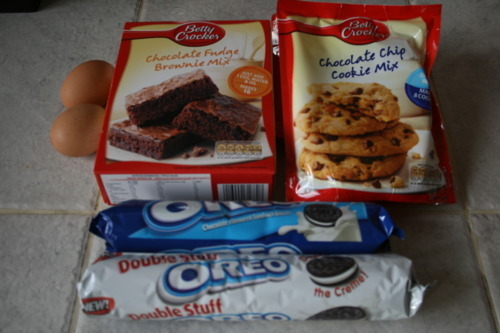 So, I will be baking them again!